I am not sure what I should call exactly for this dish. 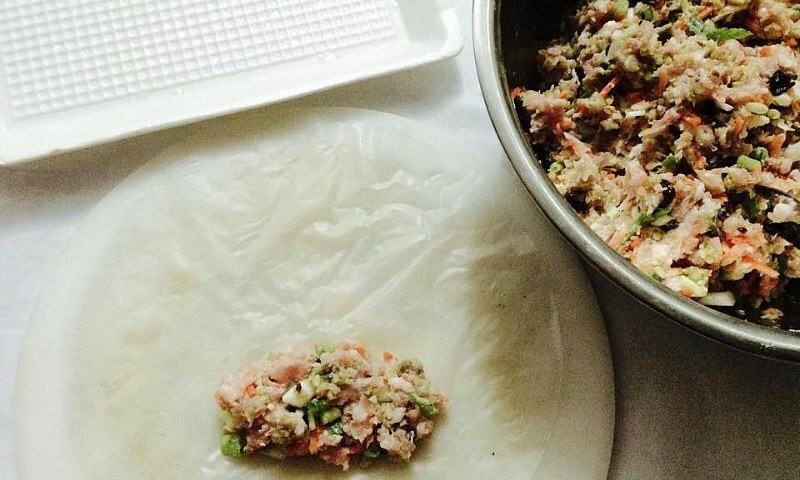 Many people call the fried version with minced pork as Vietnamese fried spring rolls (nem rán, chả cuốn, chả giò, or nem cuốn). 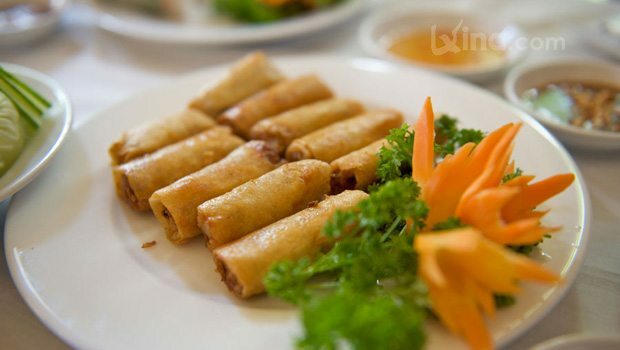 No matter what you call it, Vietnamese fried spring roll recipe is one of the most popular dishes in Vietnamese cuisine. 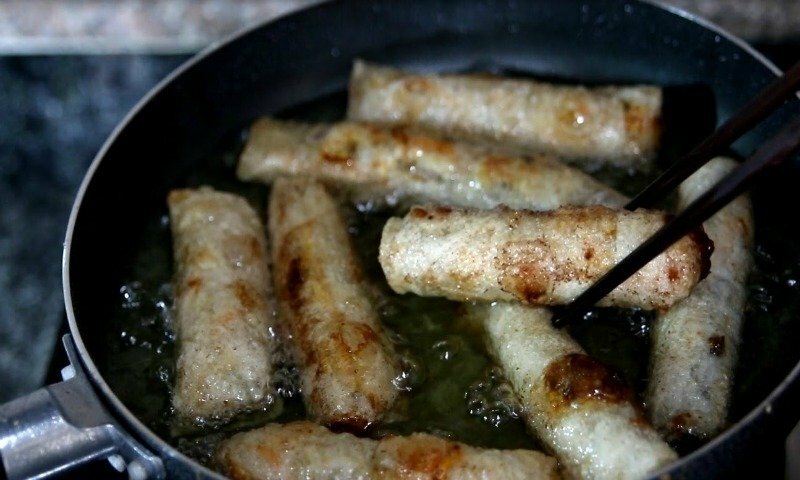 You may find people singing Vietnamese fried spring roll recipe’s praises very often because it is really a hearty, delicious yummy recipe. 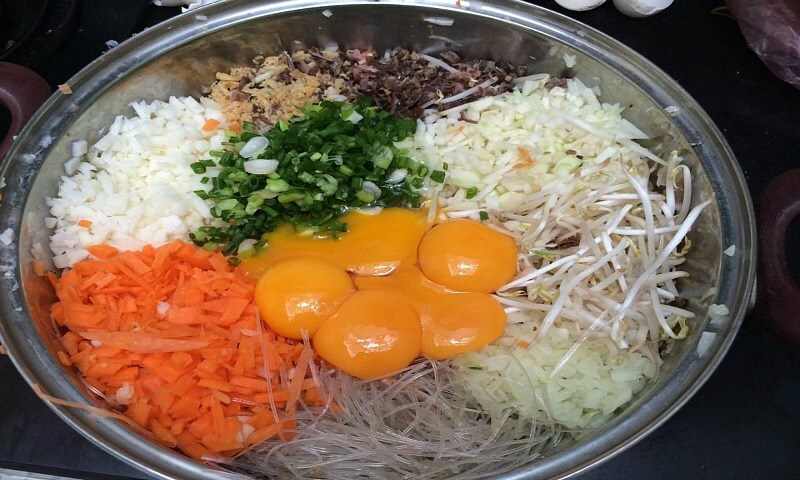 With paper noodles, bean sprout, wood ear mushroom, egg yolk, green onions, etc in preparation, this Vietnamese traditional food can be easily made at home. Let’s cooking! Put the minced pork in a large bowl then season lightly with pepper and salt. Add one tablespoon minced shallot and 1 tablespoon minced garlic. Mix well with all the mushrooms, shredded vegetables, and glass noodle in a circular motion. Add 1 egg yolk to help these ingredients adhere better. Again, mix the mixture well and leave it to sit for about 10 minutes. Scoop the filling, about a heaping tablespoon, and place on one end of the rice paper noodle. Roll it until reach the center, then fold inwards the both sides and roll up to the other end. Pour a generous amount of cooking oil into a large pan and heat until it boils (small bubbles appear around the chopstick). Start frying and keep down the heat on medium. At first, the rolls would be sticky so leave some spaces between them. Deep fry the rolls until they turn golden-yellow color. Take the rolls out of the pan and drain off the excess oil by placing on paper tissues. Serve with fresh vegetable, herbs, and dipping fish sauce. For dipping sauce, you just mix the spices together and then add some chili, garlic. 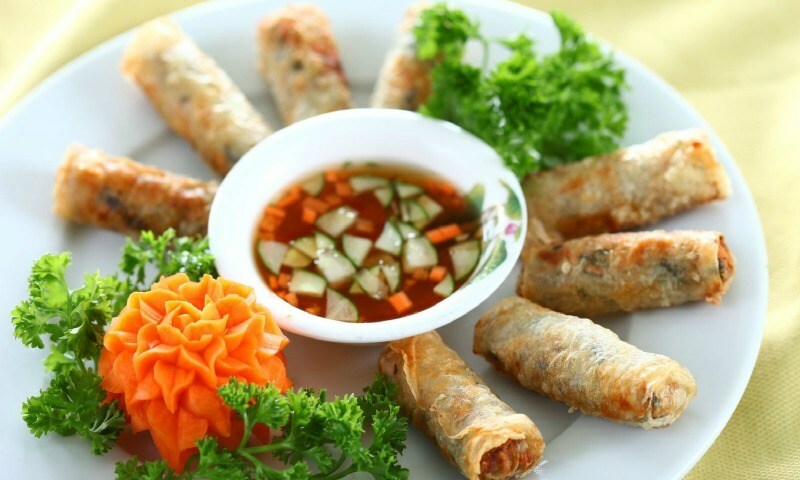 Now, I have finished my instruction on how to make Vietnamese fried spring roll recipe at home. I hope that after following the above instruction, you can feast your family and friends with homemade delicious Vietnamese fried spring roll recipe. For any question about the ingredients and direction on how to make Vietnamese fried spring roll recipe, you can leave them in the comment section bellow. I will answer as soon as I can. Thank you for reading.